This classy Amish filing cabinet is handcrafted from solid wood by the Amish! The Amish Fifth Avenue File Cabinet comes standard with fluted accents, dentil moulding, raised panels, brass hardware and long-lasting quality that will withstand years of use. 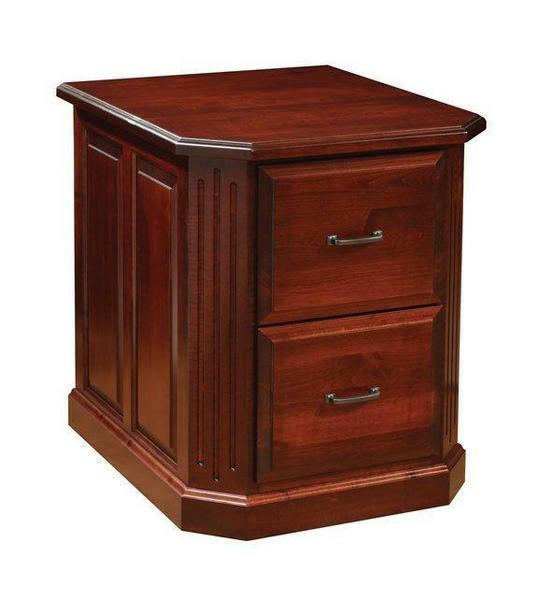 This Amish file cabinet has dovetail drawers with full extension slides that have a weight capacity of 100 pounds. The file cabinet drawer bottoms are solid oak plywood. Height: 30.5", 41.25" or 53.25"